Heat oven to 400°F. Cook frozen vegetables as directed on bag. Spoon evenly into ungreased 1 1/2-quart casserole. Bake 6 to 8 minutes or until topping is light golden brown. Serve with sour cream and green onions. Use your favorite shredded cheese--Monterey Jack, Cheddar or Gouda. 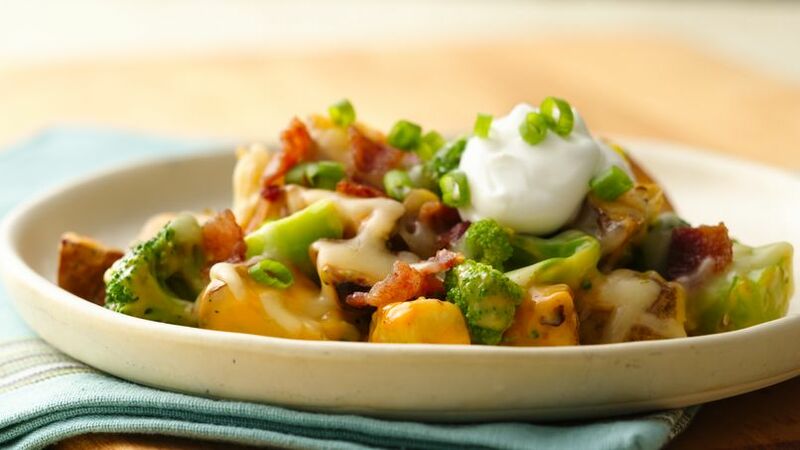 All the flavors of loaded baked potatoes in an easy main-dish meal.